Foreclosure actions increased by 2.0 percent in May from April’s 75 month low point for foreclosure activity according to RealtyTrac’s U.S. Foreclosure Market Report released June 11. However, the good news is that May 2013 foreclosure filings were still 28 percent below May 2012 filings. Foreclosure actions increased by 2.0 percent in May from April’s 75 month low point for foreclosure activity according to RealtyTrac’s U.S. Foreclosure Market Report released June 11. However, the good news is that May 2013 foreclosure filings were still 28 percent below May 2012 filings. 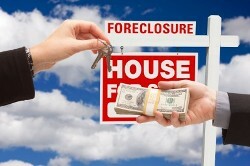 RealtyTrac reports that approximately one in 885 homes were in some stage of foreclosure in May. This does not mean that 1 in 885 homes was lost to foreclosure, but it does indicate that documents related to some phase of foreclosure (Notice of Default, Notice of Trustee Sale, and Bank Reposession) were filed. Actual lender repossessions (REO) increased by 11 percent in May, but were down by 29 percent as compared to May 2012. 33 states reported increases in REOs with North Carolina, Oregon and Wisconsin having the highest numbers of REO properties added. Foreclosure starts were up by 4 percent in May, but were 33 percent lower than for May of 2012. States using judicial foreclosure proceedings were 5 of the top 6 states for foreclosure filings. The state of Nevada, which uses non-judicial foreclosure proceedings, was second after Florida and ahead of Ohio, South Carolina and Illinois. In general, judicial foreclosure proceedings take longer to complete than non-judicial foreclosures. This results in homes being unavailable for sale for longer periods of time. Lenders are required to complete the foreclosure process and in some cases, they must await expiration of a redemption period before a foreclosed home can be repaired and sold. In states using non-judicial foreclosure proceedings, the time between the initial foreclosure filing and the foreclosure sale can be as little as three to four months. Quickly turning over foreclosed homes is helpful for improving regional housing markets and making more homes available for purchase. 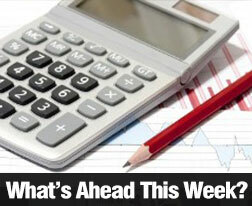 Economists have recently cited low inventories of homes as holding back housing markets in some areas. Lender-owned properties provide potential opportunities for first-time buyers and others seeking affordable homes. Mortgage lenders tend to offer attractive sale terms on REO properties, as their objective is to move these homes out of their inventories as quickly as possible. Some foreclosure properties are also lacking current maintenance and are often sold as-is. DIY enthusiasts can buy and renovate foreclosed homes for owner occupancy or investment. It’s a good idea to discuss your interest in the opportunities available for buying a lender-owned home with a trusted real estate professional. Last week’s news was relatively quiet with no data significant to real estate and mortgage lending released until Wednesday, when the federal government announced a $138 billion budget deficit for May. Whenever a scene in a film or television show takes place in a private home, have you ever thought about who owns that property? If you advertise your property in the right way, your home could have its 15 minutes of fame as the set for a film or a television show episode. Whenever a scene in a film or television show takes place in a private home, have you ever thought about who owns that property? Well, it could be you! The fact is that film and television production companies are always on the lookout for new locations where they can shoot their footage. If you advertise your property in the right way, your home could have its 15 minutes of fame as the set for a film or a television show episode. Many production companies have been gradually switching over the last few years into filming at ‘authentic’ private properties rather than in film sets and studios. You don’t have to own a stunning mansion or a historic property to rent out your home as a film location. Film and TV location scouts are looking for a wide range of different homes, from small condos to townhouses to log cabins and any other style of dwelling. Of course, the obvious advantage of renting out your property as a film location is that you can get paid hundreds and sometimes even thousands of dollars per day just for letting a film crew take over your kitchen or dining room. Also, you will have the prestige and excitement of being able to meet celebrities and see your home featured on the big screen. However, the process may disrupt your routine for a day or two or possibly longer. The film crew might want to move furniture around and you might even find yourself having to move out for a while. If you need to stay in a hotel during filming, make sure that the amount you are getting paid is enough to compensate for the costs of accommodation. If you think that renting out your home as a film set sounds like a good idea for you, there are a number of different websites where you can list the property and post photos. Sometimes your real estate professional can help refer you to a specialist in the local area who consistently works with location scouts and producers. When you are making the arrangements, make sure that you draft up a contract that states your fee, how long the filming will take, the type of production and an agreement to return your house to the original state that it was found in. 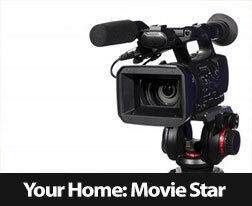 If you are interested in purchasing a home that could be film-worthy, please give us a call! Many home buyers have found the perfect house, signed on the dotted line and may think they’ve watched enough home improvement shows to know if the home they’re getting is in good shape. Unfortunately, some buyers make the mistake of skipping a home inspection in order to save a little cash. Even if a home has already stolen your heart and you’re ready to pay for it as-is, you need to bite the bullet and hire a home inspector to let you know what repairs and financial repercussions await you. You might know a thing or two about home remodeling and repairs. However, most people are not experts on the inner workings of a home. 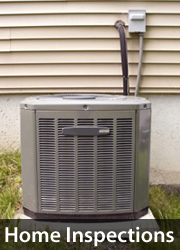 That is why it’s important to hire a professional to search for potential furnace issues, electrical wiring mishaps, plumbing weaknesses or roofing deterioration to name a few. While a home might look like it’s in perfect condition on the surface, there could be major issues hiding beneath its façade. That’s why it really is imperative for your safety that you hire an inspector to scrutinize the bones of your home. Understanding any imperfections may also help you budget for immediate and future repairs. Once you’ve signed a purchase contract, you’ll want to schedule a home inspection before the inspection period has ended. Even though you’ve signed the offer, an inspector could just find something that you just cannot live with or afford to fix. While you would normally schedule an inspection after you’ve signed a contract, it’s important to have an inspector or two picked out beforehand. Ask your real estate professional or friends and family for referrals and then contact the inspectors for pricing and a list of what they will and will not cover at the inspection. Once again, remember that the cheapest price may not be the best deal on home inspections. Have a good understanding of what, and who, you are investing in. Even if you do know a lot about the structure, plumbing and wiring of houses, don’t let your ego get the better of you. 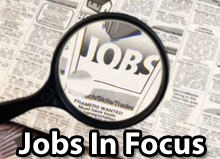 It’s important to shell out the additional money to hire an inspector and cover your assets. You’d hate to end up with a home that needs major renovations and not have known about it. For more information on hiring a professional for your home inspection or for a referral, please call today! Homeowners — Are You Making These Mistakes Planning Next Year's Taxes? Since we recently passed the filing date for 2012 taxes, it may be a good time to plan for next year and get your tax tracking systems in place. Check carefully to make sure that you are not making any of these common homeowner tax mistakes â which could cost you money or get you in trouble with the IRS. Filing your taxes can be a complicated and confusing process. If you are a home owner you may have many different home tax deductions and credits to consider. Since we recently passed the filing date for 2012 taxes, it may be a good time to plan for next year and get your tax tracking systems in place. Check carefully to make sure that you are not making any of these common homeowner tax mistakes – which could cost you money or get you in trouble with the IRS. If you work from home, you will be able to deduct a percentage of your housing costs for your home office. However, most people don’t know how to calculate this and don’t realize that it also has to be recaptured when you eventually sell your home. You will only want to claim it if it is worth it, so make sure you know exactly what you can write off. Don’t forget to keep a record of home maintenance, repair expenses and any other relevant documents as you go along. The money you spend on improving your property can help offset future capital gains tax. Keeping good records will save you a lot of headaches when tax time comes around. If you have sell your primary residence this year, you will need to pay capital gains tax on any profit that you have received. Capital gains are the amount that you gained on the property’s value – so if you bought it for $150,000 and sold it for $300,000, your capital gains are $150,000. You may be able to exclude $250,000 of any profits for taxes, or $500,000 if you are a married couple if this exclusion stays the same as in 2012. 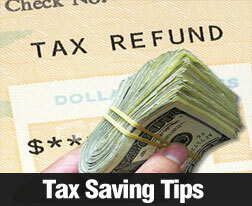 Remember that you must take the tax deduction for your property taxes in the year that you have actually paid them. No matter what the date is on your property taxes bill, you should enter the amount that you paid in the calendar year. If you confuse this part, you might end up claiming the incorrect amount for the year. These are just a few of the common mistakes that home owners can make when filing their taxes. Avoiding these mistakes will ensure that you pay the right amount and avoid any hassle from the IRS. Also, please double-check all of these suggestions with a qualified, licensed tax preparer in the area.